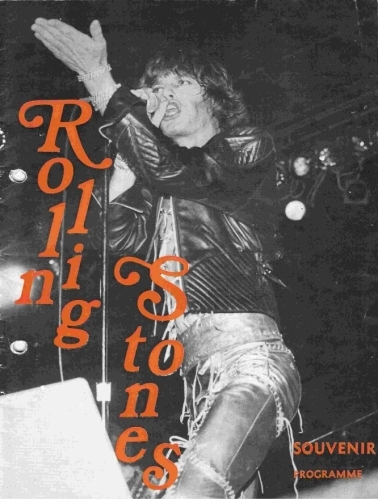 This was my very first Rolling Stones concert. I was 19 year old. I went with a friend, he had some family living in Århus, nearby, where we could stay. 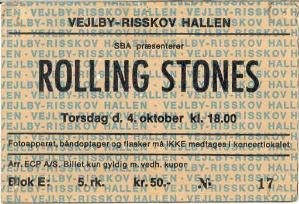 It was before the internet so it was more difficult to get tickets, when you lived in a small town fare away. At first we didn´t get tickets, but shortly after they announced an extra concert on the same day before the original concert, and we got tickets for the extra concert. Billy Preston was the Special gust star. He was the warmup artist with his band, and he also played with The Rolling Stones. This is the program for the concert.